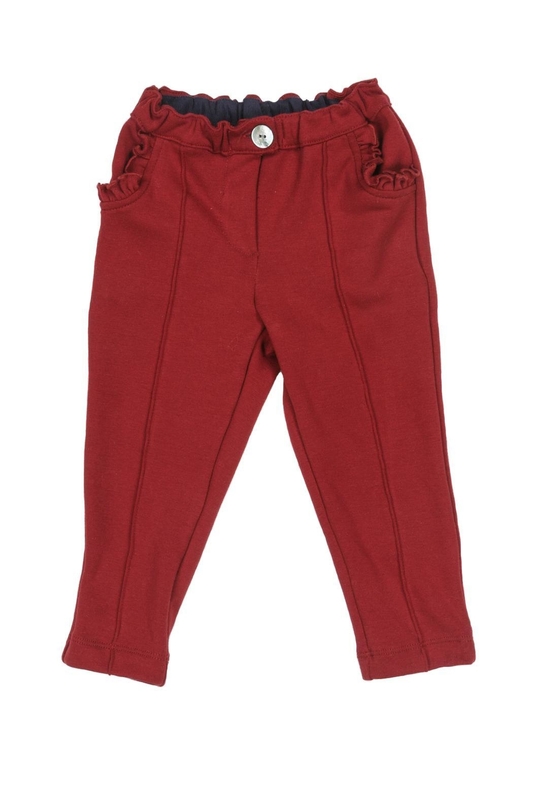 Lovely Malvi & Co. burgundy coloured jersey trousers with sewn crease on front and back. Side pockets with ruffle detail and also has two back patch pockets. Fully elasticated waistband and has a decorative mother of pearl button on the waistband. Fiber Content: 97% Cotton, 3% Elastane.